The deadline is 12noon on Tuesday 22 March 2011 (Malaysian time GMT +8) (That’s just 24 hours yo!) and a winner will be drawn thereafter. This is open worldwide unless prohibited by law. You can read my review on the Bohemian Rhapsody palette here. I always feel blessed and thankful because i believe i am lucky. I strongly believe in the law of attraction, I like make-up, but my make-up collection tool is still a little, as i just start to learn make-up. Sincerely i hope i can have the opportunity to try the palettes!thank you! Thanks for the giveaway and I hope this story can make you and everyone laugh. I read about your w/end in Singapore and your experience with the segway people mover. Did you know that there are segway rides too in Lake Titiwangsa, KL? I didn’t either until i saw a promo coupon on sale for RM24.99 which is 50% of the normal price of RM49.90. Today I had a fun time talking with my new Uni-mates while waiting for class to start ^.^ This is a beautiful start for the coming 4 yrs! Yayyyy~!! I had a great fun time by dressing myself in MOD style as inspired by Twiggy but set my hair in Audrey Hepburn’s hairstyle during my company’s annual dinner on last Saturday. It’s Retro Night !!! NYX.. I would like to try this brand. I never had any cosmetic in this brand as i only own little cosmetic product. lols. I was at the Empire Shopping Gallery over the weekend. They had a Norwegian food fair and that was the first time I tried Pickled Herring. It was surprisingly good! 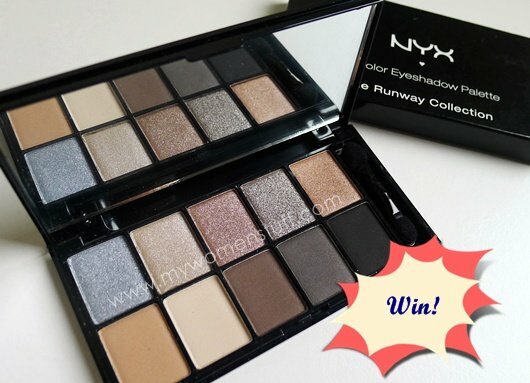 I wanna try NYX! If it’s as good as a budget pallette goes, i’d probably haul more stuff from NYX when I travel to US next month! I already have this “bank breaker list” longer by the day to indulge my craving for cosmetics and skin care. oh god. Ohh I never win stuff till now… but still keep on trying!